Greasy, covered in their hard work, the men were machinists and boilermakers who kept the railroad running from 1920 through the 1960s. 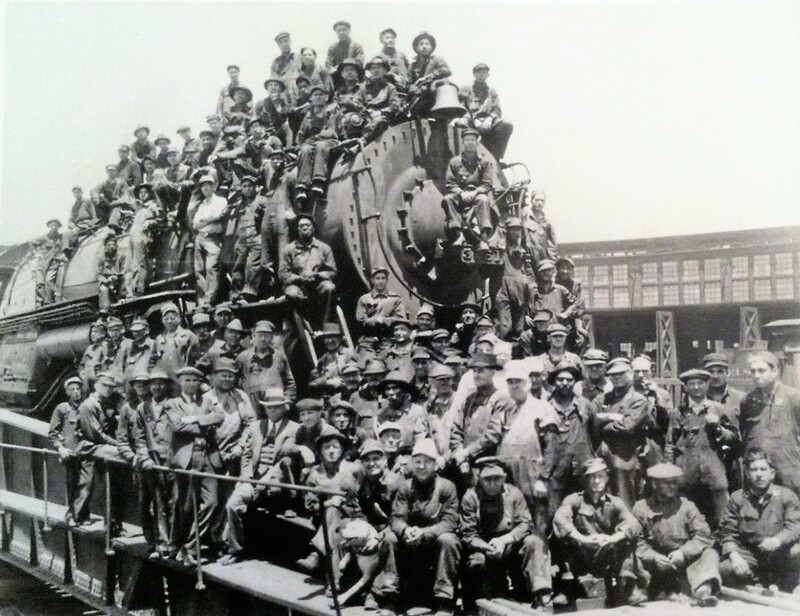 “They restored as many as 40 locomotives, and each one weighed as much as a million pounds,” Freed said. Freed said the men’s work brought bigger things to Albuquerque. Leon Padilla of Bernalillo said his grandfather and uncles are in the photograph. “I remember seeing the locomotives in the shop over there when I came to visit my grandfather,” Padilla said. Dennis Baca, a retired railroad worker from Los Lunas, said he wants to know who the men are so their stories can be recorded. “Once that history is dead, we will never see it,” Baca said. Baca said the group has had some success identifying people in the photo. “At the rail market one day, I saw a man who picked up the photo and he had tears in his eyes and he says, ‘I know this guy,’ and I said, ‘Who is that?’ He said, ‘That’s me,’” Baca said. “Some people may have the old railroad records. They may have a lantern. They may have a photo of their grandpa,” Freed said. Items that might be buried in a box could be pieces of history that belonged to the railroad or evidence of someone who played an instrumental role in keeping the trains running, Freed said. The picture is at a booth every Sunday at the rail yard farmers market. This entry was posted in Events by Wheels Museum. Bookmark the permalink.